Sciblogs | What is pre-pregnancy carrier screening? What is pre-pregnancy carrier screening? The American College of Obstetricians and Gynecologists recently recommended obstetricians, gynaecologists and other related health care providers offer pre-pregnancy carrier screening for genetic diseases to all patients. Pre-pregnancy carrier screening involves testing healthy adults for the presence of gene mutations that cause diseases that are not present in them, but if both parents have the same recessive gene, could eventuate in their children. This includes diseases such as cystic fibrosis and muscular dystrophies. If both partners in a couple carry the same recessive disease, then the couple have a one in four chance of a child with that disease. Carrier couples may therefore have multiple affected children. Some recessive diseases are relatively mild but others are severe, including many that cause death at or shortly after birth. 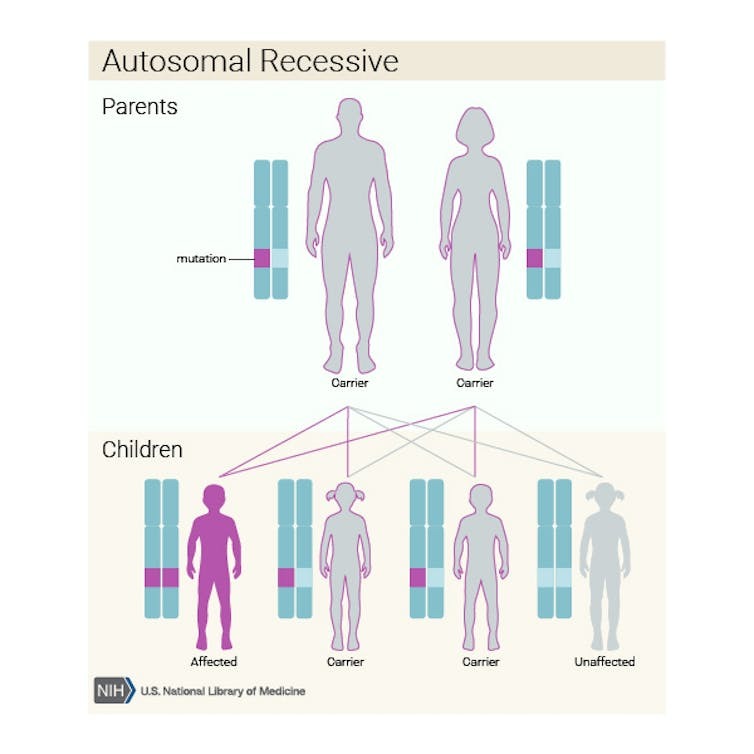 Autosomal recessive inheritance of harmful mutations. Newton Morton, one of the founders of genetic epidemiology, estimated from population data as long ago as 1956 that each of us is a carrier of three to five lethal recessive mutations and this has been confirmed by more recent research. This means we are all carriers of something, but most of us are generally unaware of our carrier status unless we have an affected child. Historically, pre-pregnancy carrier screening programs have been tailored for specific population groups who are more likely to have a recessive disease. For example, the recessive brain condition Tay-Sachs disease, which is usually fatal in early childhood, has a high incidence in the Ashkenazi-Jewish community. In 1969 it was discovered the loss of an enzyme (called hexosaminidase A) causes the disease. This led to the development of tests allowing carriers for Tay-Sachs disease to be identified. The first pre-pregnancy carrier screening programs in the Ashkenazi population followed in the 1970s. Since then the incidence of Tay-Sachs disease has reduced by more than 90%. Other such targeted pre-pregnancy carrier screening programs exist in other parts of the world. For example in Mediterranean countries where there is a high rate of the recessive blood disease thalassaemia, pre-pregnancy carrier screening was offered and this also resulted in a reduction in the incidence of the disease. Today, the country with the most comprehensive pre-pregnancy carrier screening program is Israel. It introduced a national program in 2003 and by 2015, the program was screening approximately 60,000 people annually for nearly 100 recessive conditions. The Israeli program is tailored to the different ethnic groups in the country, but also includes diseases common in all ethnic groups such as spinal muscular atrophy. Diagnostic laboratories around the world are now using technology that can sequence multiple individuals for hundreds of disorders at once. This technology is used to diagnose many different types of genetic diseases and is more effective than standard diagnostic testing. It has also been investigated for carrier screening and can detect carriers of multiple recessive disorders. When pre-pregnancy carrier screening programs are introduced, they reduce death and disease associated with the screened diseases. They can save families from experiencing the tragedy of a child affected by a significant genetic disease. They also reduce the burden of recessive disease within the population as a whole. Each recessive disease is rare but there are hundreds of recessive diseases and so collectively they have wide-ranging social and economic impacts. A study of 50 severe recessive diseases found their collective incidence to be greater than that of Down syndrome (one in 600 compared to one in 1,100). So pre-pregnancy carrier screening programs that include many genetic diseases, as now recommended by the American College, would maximise knowledge of genetic risk for couples. When testing genes, some identified variations are definitely harmful while most are definitely harmless. But for some variations we can’t be sure if they are harmful, and whether or not they will cause disease in any children. And some mutations, called de novo mutations, arise spontaneously during the development of a child. These mutations cannot be detected by pre-pregnancy screening. So while the risk of having an affected child is reduced by pre-pregnancy carrier screening, it is not eliminated. 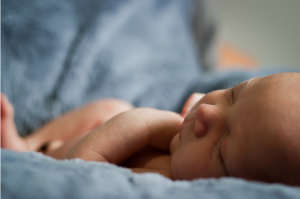 There are no guarantees that pre-pregnancy screening will result in a healthy baby, but it will allow couples options to reduce the burden of disease associated with known disease-causing mutations. Counselling is required before and after the test to explain the risks to couples. There is little health risk from the test, no more than the risk associated with taking a blood sample. The cost may be prohibitive for many couples, though. While it depends on the number of genes screened, costs may be several hundred dollars per person. Can and should we have testing in Australia and New Zealand? A small number of targeted pre-pregnancy carrier screening programs have been in place in Australia for a number of years including for Ashkenazi populations, for individuals with a family history of various diseases, and in IVF clinics. In Victoria the Victorian Clinical Genetics Service offers private pre-pregnancy carrier screening. Several Australian groups, such as the Australian Genomics Health Alliance, are researching ways to screen larger numbers of genes. It remains to be seen if Australian bodies will make similar recommendations to those in the US.